A plant in Wilmington, N.C., which used to make construction cranes, now manufactures rail cars. There's a love affair happening with an unlikely type of real estate: America's empty factories and warehouses. Vacant commercial spaces are in high demand as both startups and multinationals look for facilities to house their U.S. operations. Several factors are driving this trend, according to Stuart Lichter, president of Industrial Reality Group, one of the largest owners of U.S. commercial real estate. Many U.S. companies, which had moved their operations overseas to keep costs down, are coming back home to be closer to their customers. On the flip side, foreign companies are also shifting some production to the U.S. to be more competitive and grow their U.S. market. Meanwhile, some industries that were hit hard by the recession have recovered and are growing. 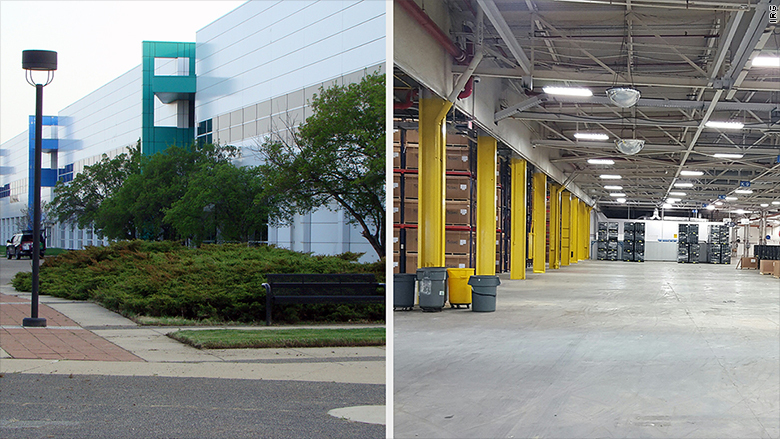 "Just a few years ago there were many defunct industrial spaces in Detroit," Lichter said. "A bulk of those are gone as the auto industry recovered." Terex Corp., a maker of construction cranes, closed its factory in Wilmington, North Carolina, in 2011. The 502,000 square foot plant sat vacant until it caught the attention of Vertex Rail Technologies, a joint venture with China Southern Rail. 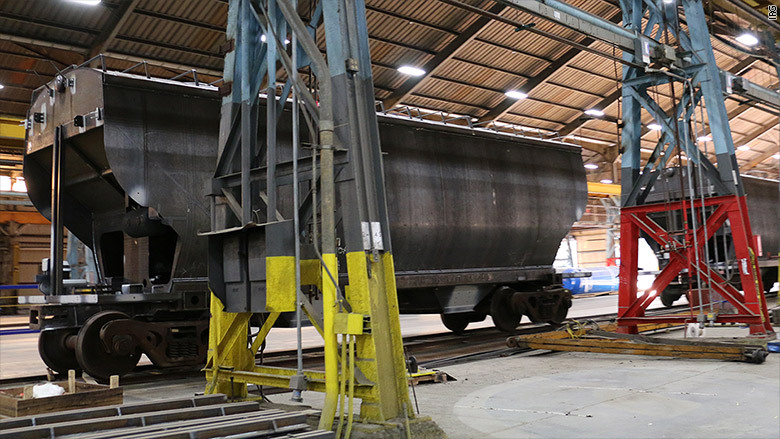 The firm moved into the plant in 2014 and began manufacturing rail cars. 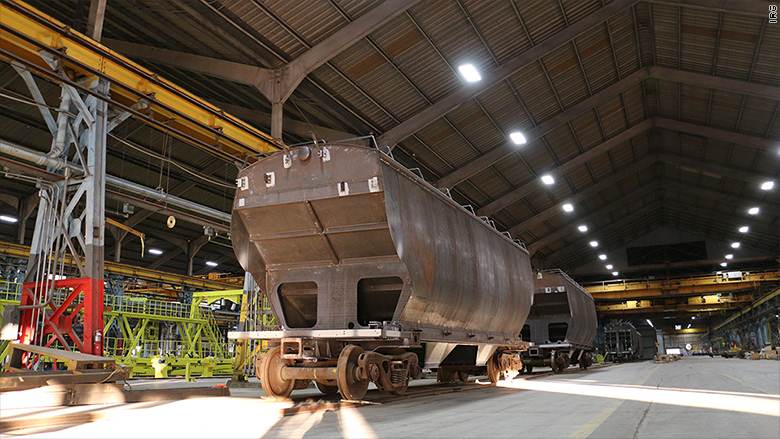 The company, now called Vertex Railcar Corp., has close to 300 employees at the facility and plans to produce 8,000 rail cars a year for U.S. clients. When grocery chain operator SuperValu closed a distribution center in Xenia, Ohio, in 2012, over 100 people lost their jobs. 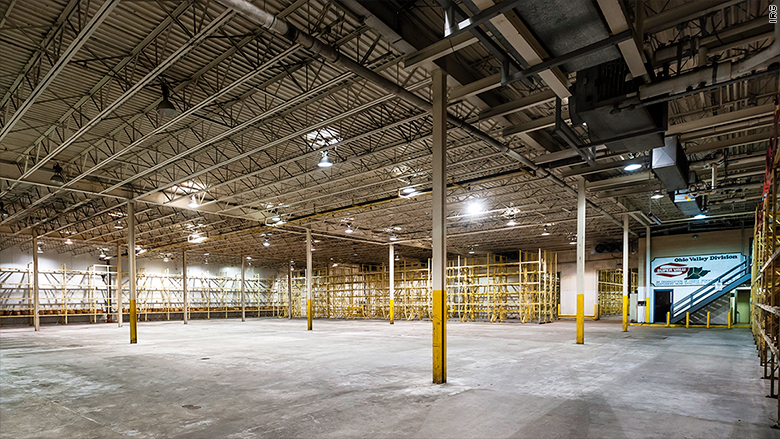 The 533,000 square foot commercial space stayed vacant for three years. In 2015, German auto parts maker Mahle Behr moved in to occupy 168,000 square feet of the plant. The new facility is expected to add up to 45 jobs. Lichter said the facility will be used primarily as a distribution center. Urban agriculture is a growing industry that's fueling demand for vacant commercial spaces. "Old warehouses and distribution centers with lots of open space and low ceilings are perfect for indoor agriculture," said Wayne Dorband, CEO of the Institute of Ecolonomics, a nonprofit that revitalizes impaired real estate. FarmedHere is located in a former cardboard box manufacturing plant in Bedford Park, Illinois. "This area is very industrial. It's a main trucking corridor where the last business you'd expect to find is a farming operation," said FarmedHere CEO Nate Laurell. But it made perfect sense for FarmedHere. "We're just outside of the Chicago loop," he said. "Our produce travels only 30 miles to customers instead of 2,000 miles from as far as California and Mexico." 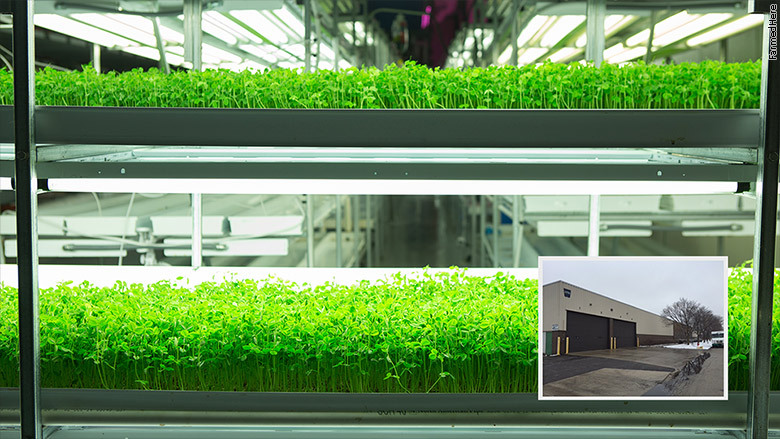 The startup moved into the vacant facility in late 2012 and converted it to grow basil, kale, broccoli, lettuce and baby greens. "We produce on one acre of the building the equivalent of 40 acres of land," he said. Also, the indoor farming (which is dependent on LED lights) requires 95% less water than traditional farming. DHL shipping facility out. Indoor fish farm in. 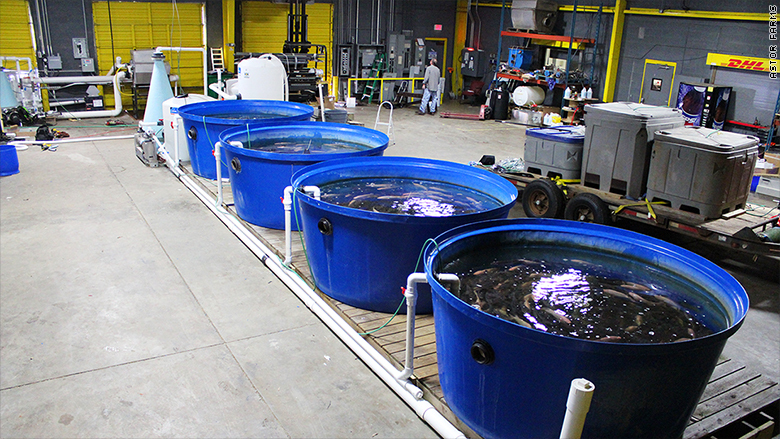 Aquaculture, or fish farming, is a young commercial industry that's picking up steam, said Rob Ellis, founder of Astor Farms in Charlotte, North Carolina. Ellis' startup, which he launched in 2010, grows tilapia indoors at a former DHL distribution center. "Tilapia is a warm water fish," he said. "In North Carolina, I can't grow the fish outside." Ellis said the DHL building sat unused for over two years before he moved in and retrofitted it, adding biofilters outside and installing tanks to hold 300,000 gallons of water. The facility produces 400,000 pounds of tilapia each year, which he supplies to customers as far away as Toronto. Another casualty of GM's bankruptcy was a 1.2 million square foot manufacturing and assembly plant in Pontiac, Michigan. Industrial Reality Group purchased the property in 2014. The facility now houses a mix of tenants, including Korean automaker Daewoo and Japanese company FANUC, which makes robotics and manufacturing equipment. As the market for legal marijuana grows, entrepreneurs are looking for vacant industrial spaces to convert into indoor cannabis farms. "The demand is very robust for this use," said Dorband. "It's most notable in Colorado, where you'll probably have a hard time finding an empty 100,000 square foot building for growing cannabis." Anthony Fiacchino, a Chicago-based entrepreneur, is a business partner in three cannabis cultivation facilities in California, Oregon and Michigan. He's on track to open a fourth one in two defunct buildings at the Southern Illinois Airport. Fiacchino said the airport setting is perfect. "The two buildings are enclosed at an airport that is operated by the local port authority," he said. 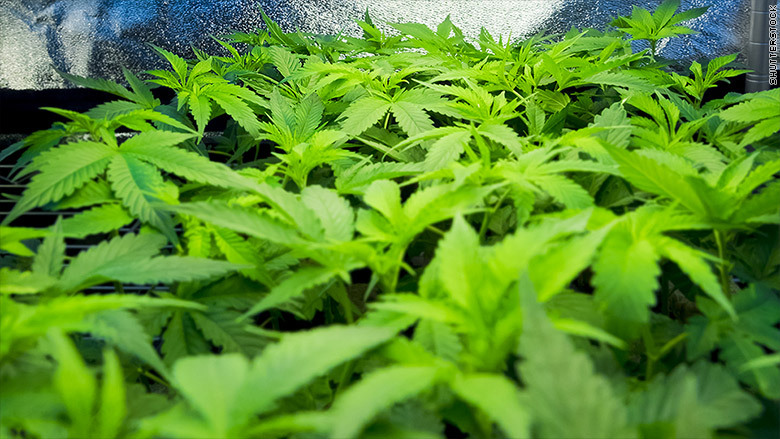 "This is ideal because security is paramount for cannabis farming." It's also cheaper to retrofit an existing facility than to spend $6 to $7 million building a brand new one, he said. Fiacchino has the permits to refurbish the building to grow cannabis for medical use, which is legal in Illinois. If all goes well, he said the facility will be operational in October.